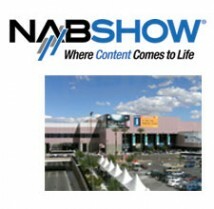 Come see us at NAB 2012! Microboards will be exhibiting at the NAB Show in Las Vegas Nevada. Come see us, April 16th-19th, in the South Lower Hall, booth 13106. This year Microboards will be showing our flagship MX Publisher, the entry-level G3 Disc Publisher, our SD and USB towers. Also featured in the booth will be Mr. Inui of JVC Advanced Media, who will be demonstrating the only ISO-certified DVD Archival solution on the market. And if you're lucky, you'll get a sneak peak at our next product, too!